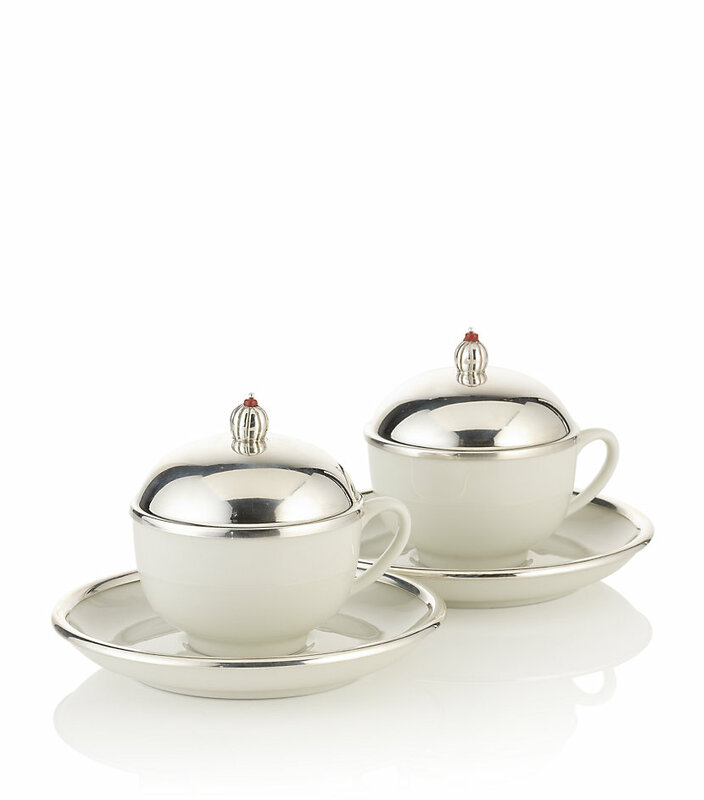 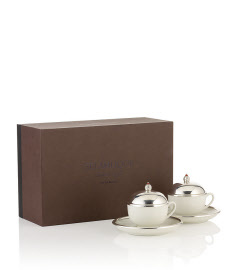 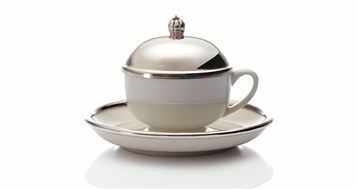 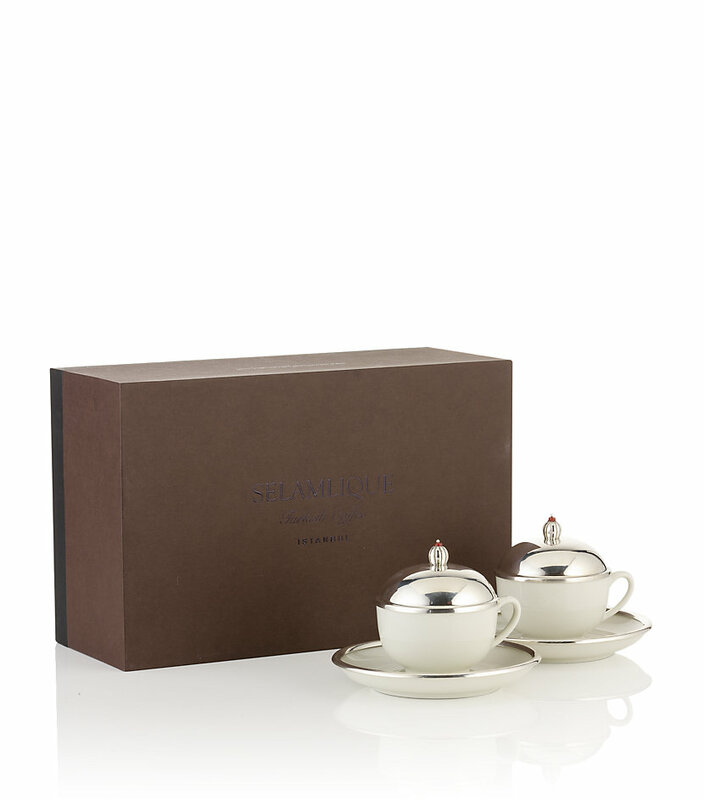 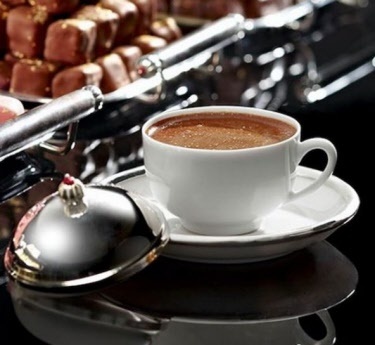 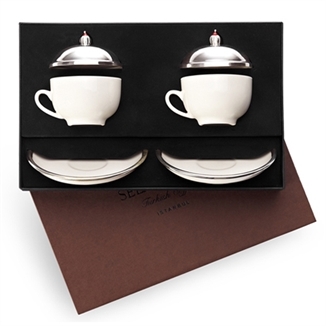 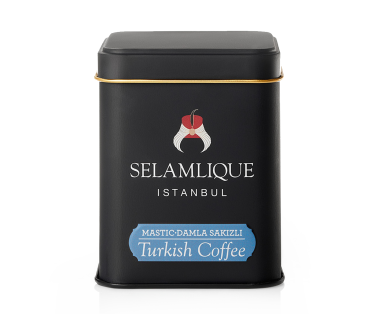 Set of 2 Turkish coffee cups with 925 carat silver covers and coral detailing. 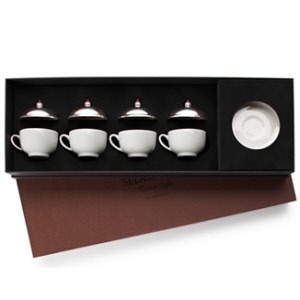 The coffee connoisseur has another dimension of taste to look forward to with these exquisite coffee receptacles that enhance the coffee drinking experience. 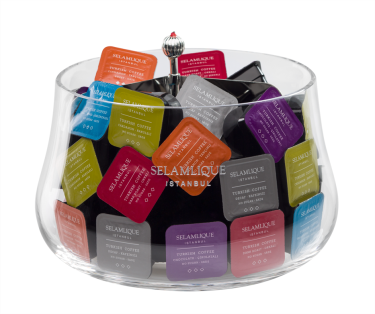 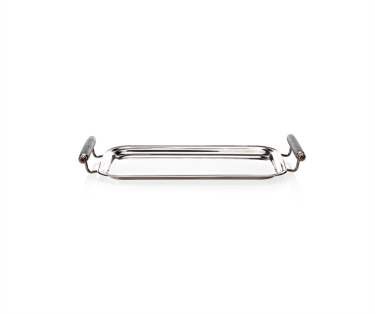 Selamlique 925 carat silver accessories are ideal for gifting.